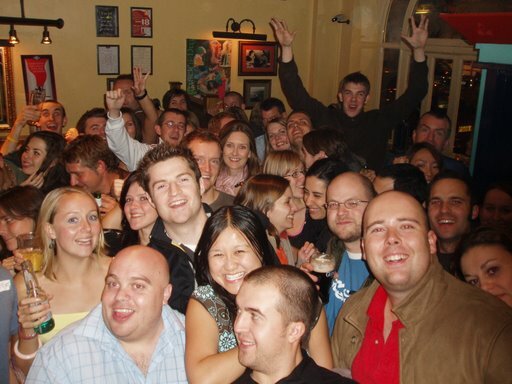 Here are the pub crawls I've organised, compiled and/or attended. 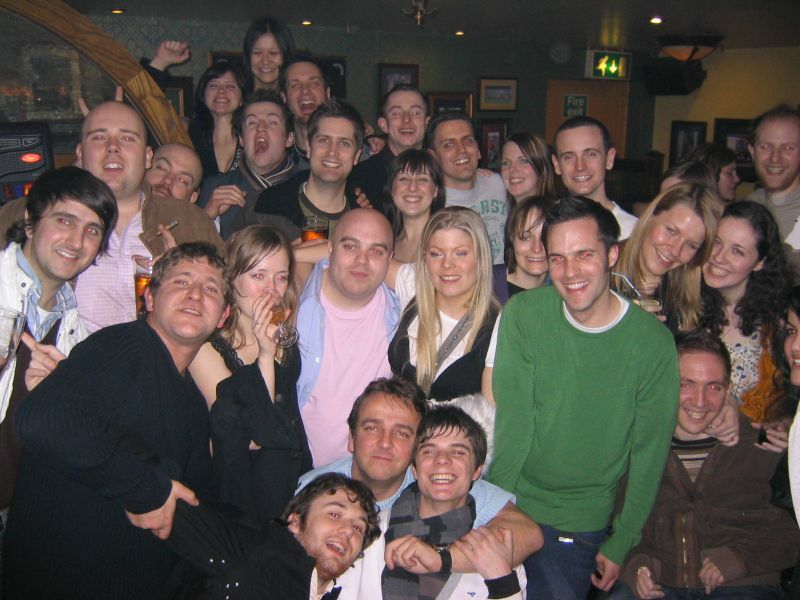 Didsbury Dozen - One of the most famous pub crawls in the North West of England! The original and the best. 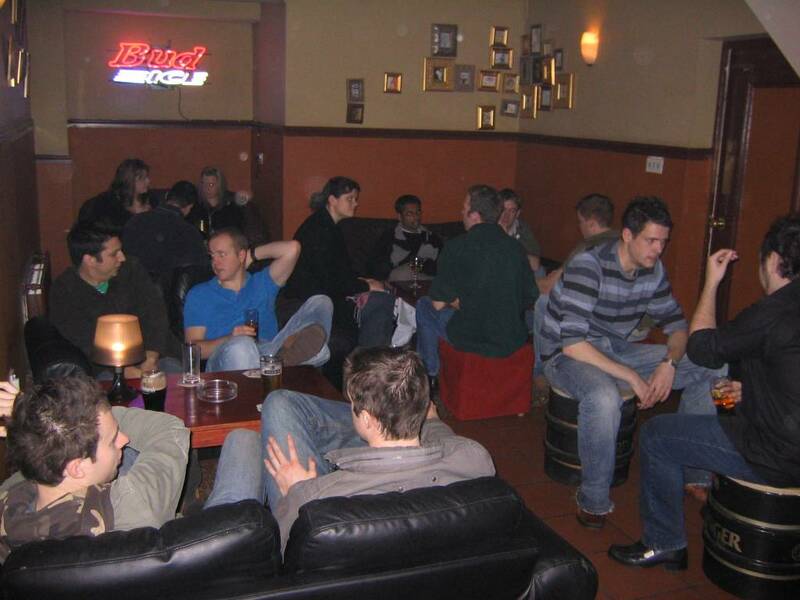 As students we had heard of this mythical place called Didsbury where there were twelve magical pubs which allowed totally drunk idiots to appear for 30 minutes mess up everything and then leave. We knew we needed to do this - but how. Helped by the internet and student folklore we went.... The bus took us further south in Manchester than we had ever been before, Fallowfield had been our safe area - our oasis - we had no need to go here. What magic we found there, somewhere at the end of the #43 Magic Bus route! 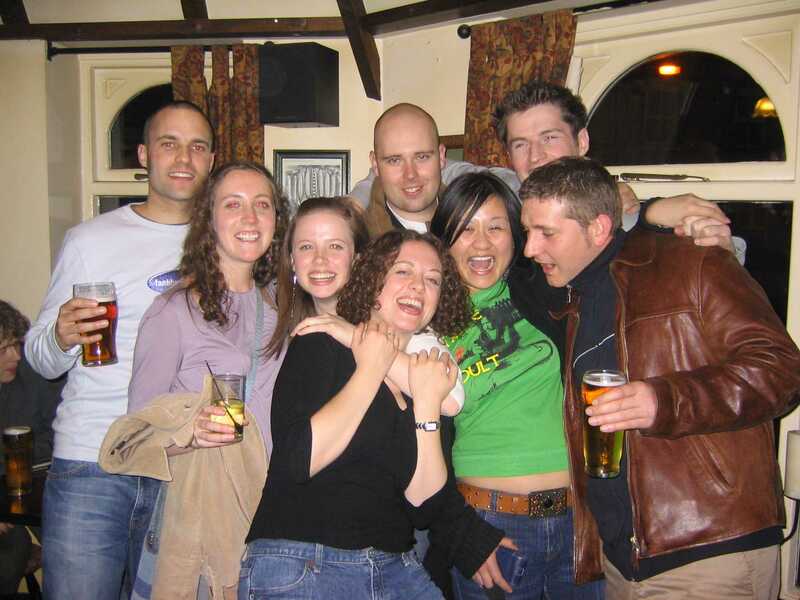 Often referred to simply as 'The Dozen' is a twelve-pub pub crawl situated primarily in East Didsbury, an affluent suburb of Manchester. The Didsbury Dozens origins are often disputed - many believe it's due to there originally being only twelve pubs in the Didsbury Village - maybe it's just because it sounds nice. Feb 2007 - My Birthday! There are a few variations of the route but our most commonly used one tries to avoid the more chainy bars which are increasingly replacing the traditional public houses in Didsbury Village and avoiding bouncer ego clashes with trainer clad Dozener's. 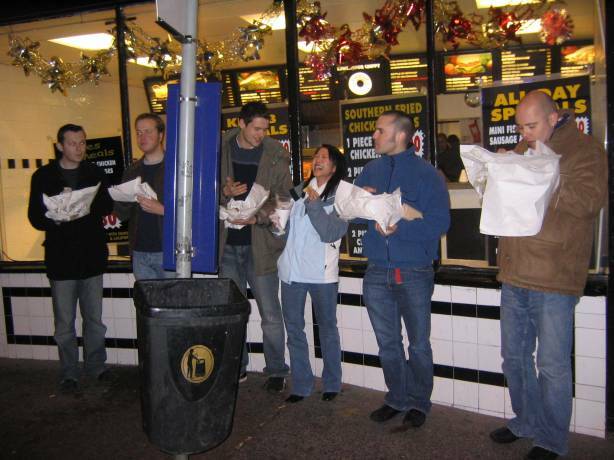 Most participants normally finish the day off with a curry in the nearby Rusholme, often referred to as the 'curry mile'. Please reference this site in any copies you produce and email me if you run your own dozen! Myspace ~ Run by Phil this myspace has some great photos and tries to keep the dozen community feeling all year. The Dozeners' Club ~ 'The Dozeners' Club - Incorporating Old Gentlemen of St. Anselm Drinking Society' A site run by some ex-University of Manchester students - we don't know them but I like their style! Harry Bailey ~ This guy has a totally different route from what I've seen before! Also has an origins section which I like! I moved to Worcester in August 2006. I loved the history and small feel of this lovely city in the West Midlands... but something was missing. Yup - A twelve pub, pub crawl. Luckily my new work colleagues shared this view and Joe come up with the name Worcester Wassail - after quietly looking up what a Wassail was I agreed. 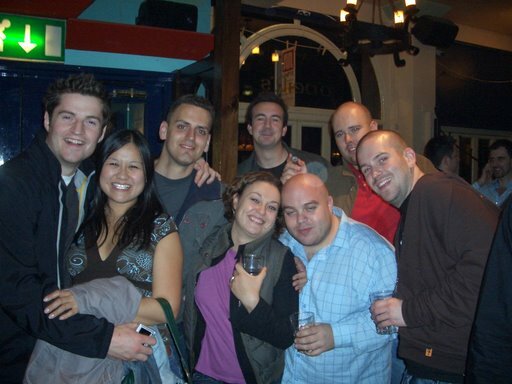 So here it is my first, original pub crawl. 2012 Will be it's eighth year and it's growing in popularity! 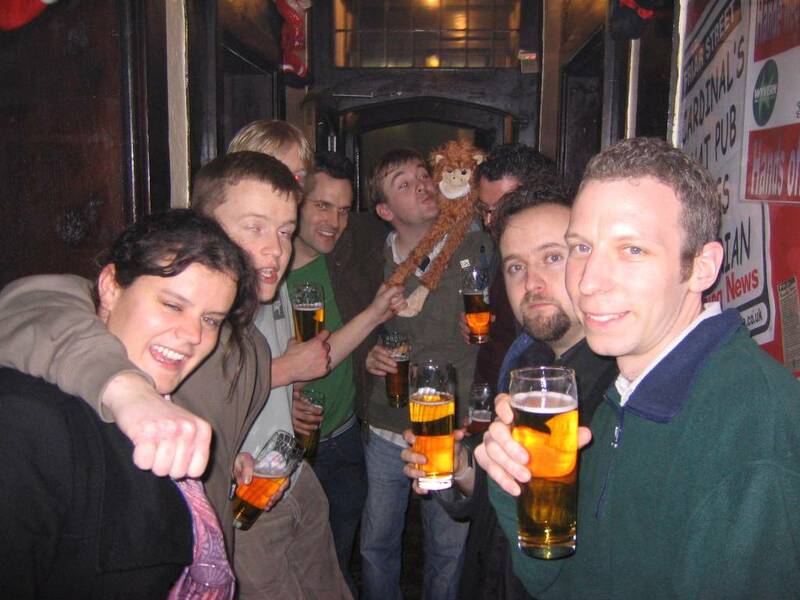 We had our first Wassail in December 2005, and the second the following year 2006. It's usually timed to co-inside with Worcester Christmas Fayre and has a lovely season feeling! Download the route in format. Please reference this site in any copies you produce and let me know how your wassail goes! Made famous by Oz Clarke and James May's "Oz and James Drink to Britian". We've tweaked a route a friend used and made a 10 pint crawl out of it! You buy a £13.40 return from Manchester Piccadilly to Bately. Get on the 1157hrs train (you have to change at Huddersfield) and get to Batley then you're away..
We had always wanted to do a pub crawl in the City Centre so Tim's Birthday provided to opportunity! The Beer House - 6 Angel Street, Ancoats NOW REOPENED! Ra!n Bar - 80 Great Bridgewater St. Please reference this site in any copies you produce and let me know how your Craven Crawls goes!